RIM has announced that it will be offering customers affected by last week's global service blackout free premium apps worth around $100 (£63) as compensation. The full line up of apps disgruntled BlackBerry users will be able to pick up for free is yet to be finalised, but will include timewasters like SIMS 3, Bejeweled as well as more serious software like Photo Editor Ultimate and iSpeech Translator Pro. You can see the full list of applications you'll be able to download over on RIM's website - plus the list is apparently set to be updated to include more offerings in the coming weeks. 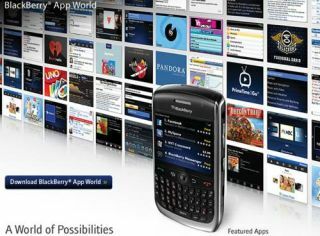 The apps will be available to download from the BlackBerry App World from 19 October to 31 December 2011.
Business users, who were particularly hit by the server outage, will be provided one month of free technical support which will be of great comfort, no doubt. RIM's co-CEO Mike Lazarides reiterated the company's commitment to its 70 million plus customers, saying, "We've worked hard to earn their trust over the past 12 years, and we're committed to providing the high standard of reliability they expect, today and in the future. "We are grateful to our loyal BlackBerry customers for their patience. "We have apologised to our customers and we will work tirelessly to restore their confidence. We are taking immediate and aggressive steps to help prevent something like this from happening again."